Thank you Jeffrey Court for sponsoring todays post. As always, all opinions are our own. 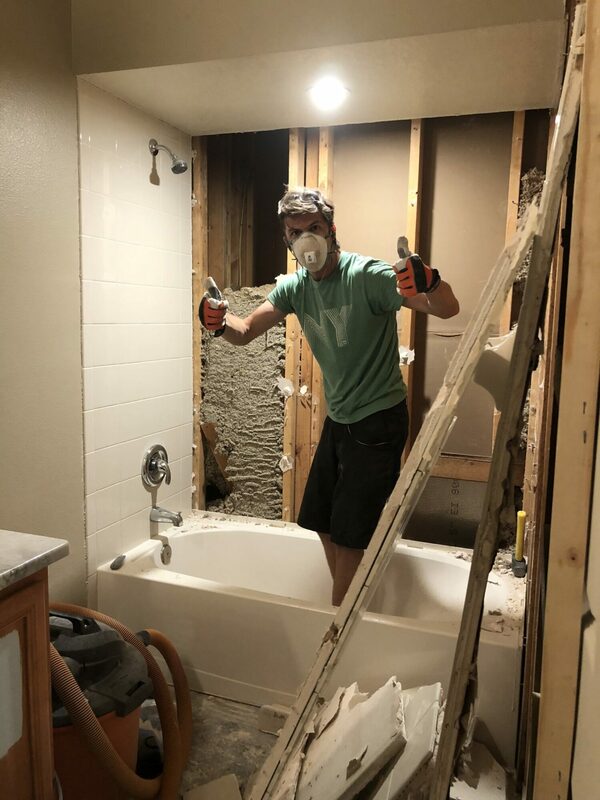 Once we got the go ahead to start our One Room Challenge with Jeffrey Court—Jon wasted no time in the demo work of the bathroom! 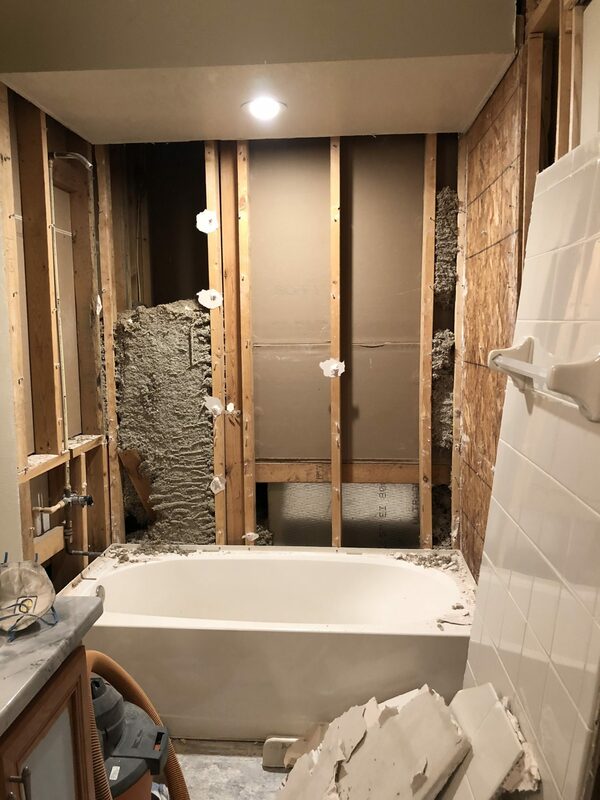 Last week, I shared our “before” photos as well as our inspiration board for the guest/kids bathroom. 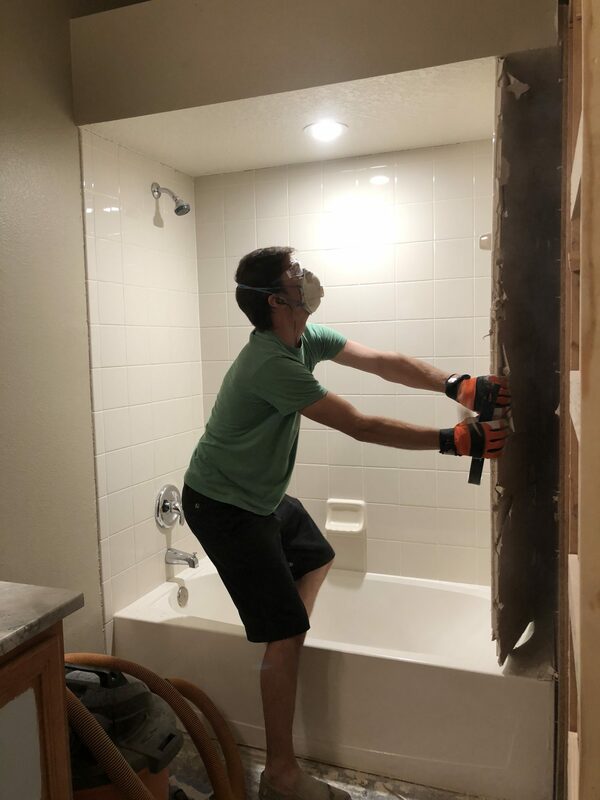 We made our list of everything that we wanted to do in the bathroom, ordered our tile and then he got to work. 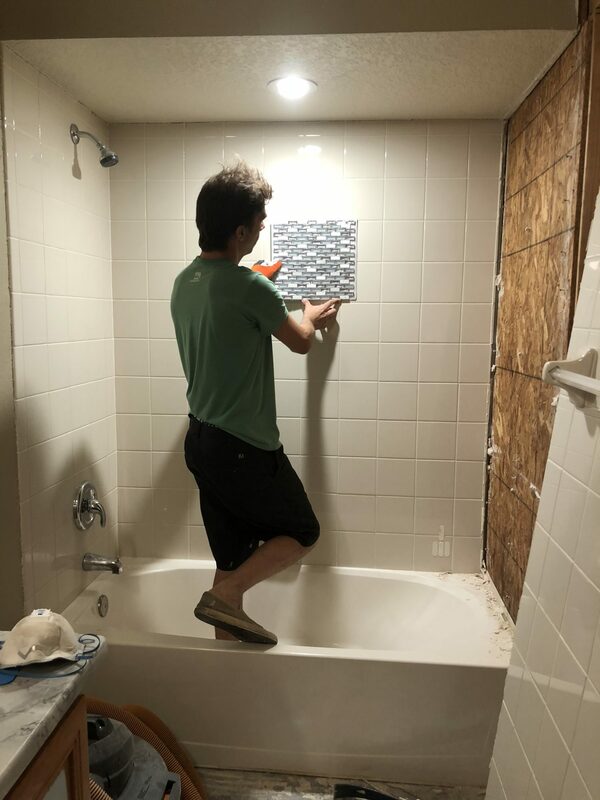 Originally, we had planned to demo ourselves and then hire out the tile; however, Jon dragged his feet on agreeing to hire out and by the time we went to book the tile guy he was already a month out. 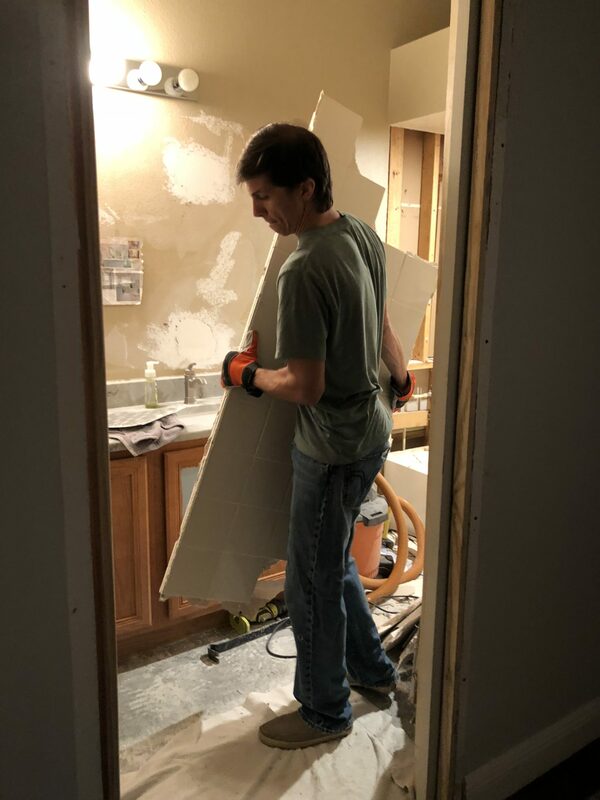 So Jon got his wish—demo and tile on his own and at his own pace. Not ideal to me when you have to small kids and this is the only bath tub and main toilet in the house. *I say main toilet since its the most central to our family room which is where we spend most of our days. He started with taking the tiles off the floor. Pro Tip: he used a plastic bin as a make-shift trash can and placed each tile in the bin for easy transport. 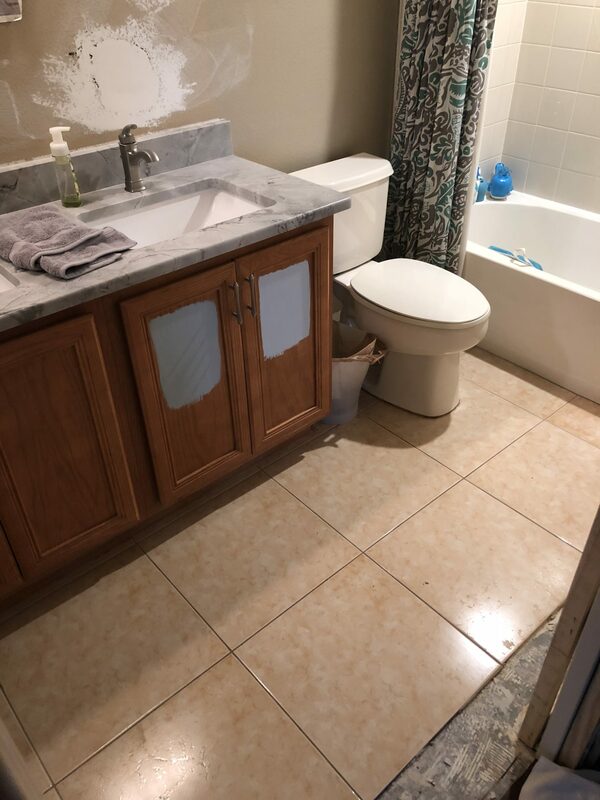 Then he removed the toilet to continue removing the rest of the tile. Since we were planning to buy a new toilet we knew this one had to go. *Not pictured was the hour he spent with the door closed and an electric chisel to get the floors smooth! 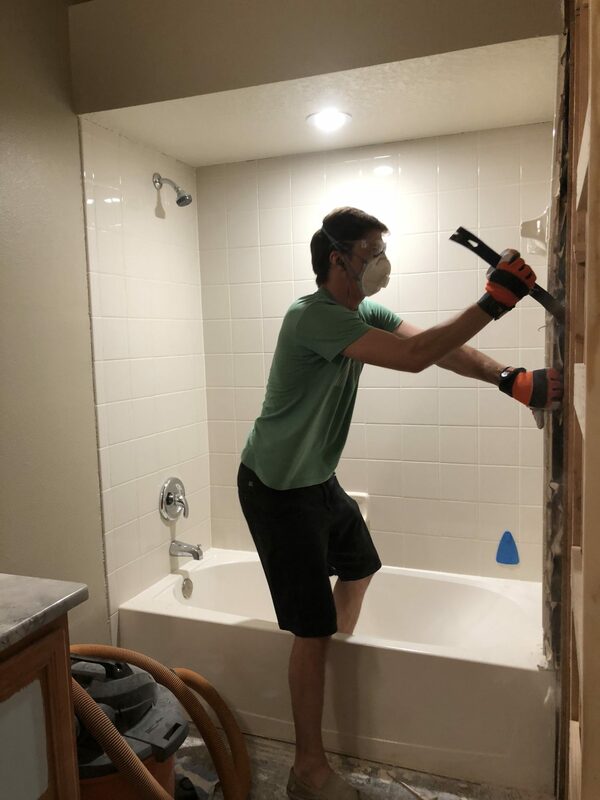 Next up, removing the tile from the shower. This is what he was most excited about. 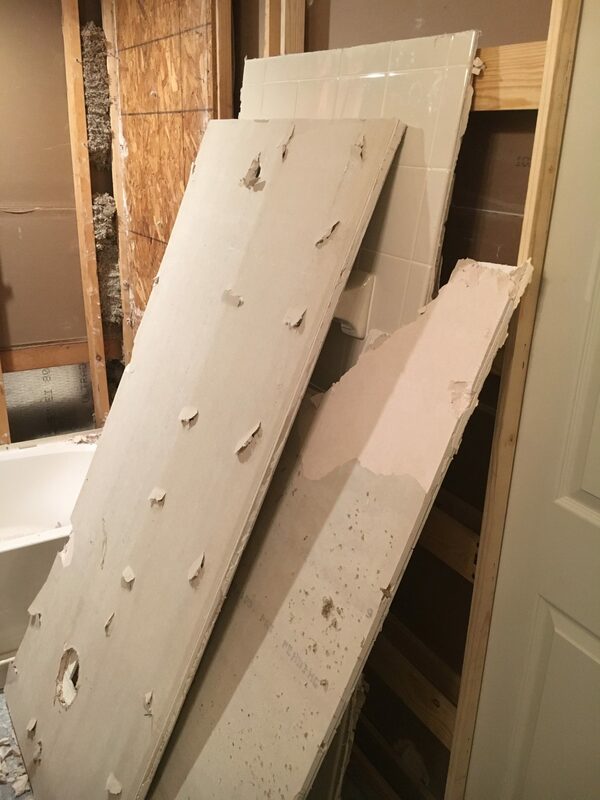 He used his crow bar and started prying the hardy board and tile off the wall. *Side note–he did some electrical work and added a pocket door before all this. The light in the shower was never there. It’s brand new and I LOVE IT!!! He was able to remove the 3 walls in 3 sections without a hug mess! 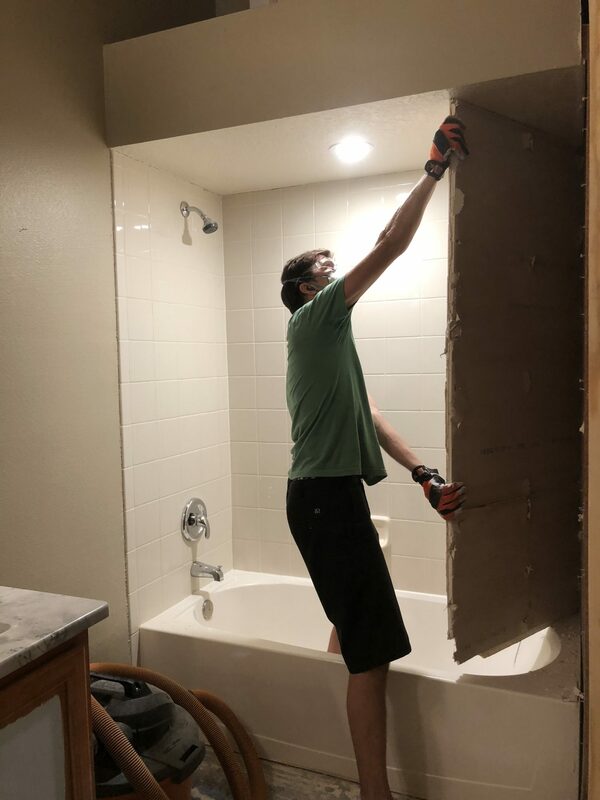 Carefully pulling the sheet of tile off the wall. Jon took a brief break to share what the Alaskan Chill Glass Mosaic tile will look like! All three walls gone and down to the studs! The pieces of tile/hardy board. 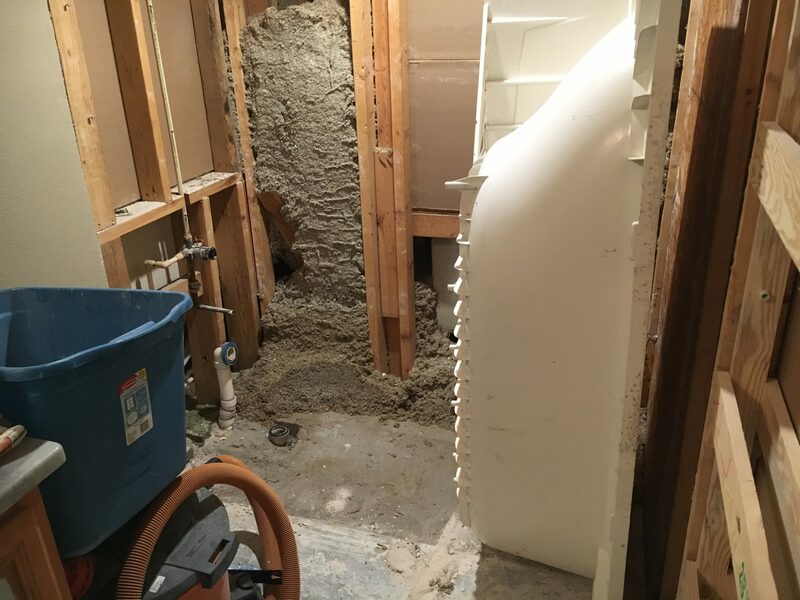 We were happy to see very little water damage! Carrying out EACH heavy piece! That same evening he moved out the bathtub so he had a true blank slate to work with. 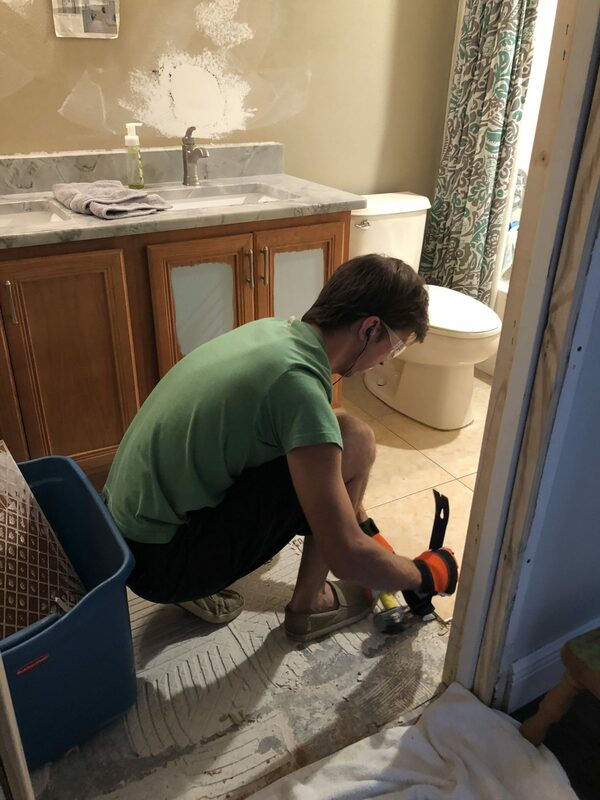 Stay tuned and following along over the next 2.5 weeks while we continue to share the progress on our guest/kids bathroom! Make sure you head to Jeffrey Court’s Facebook page every Thursday to hear what the judges think of the progress made!